Working closely with the Muskegon Lakeshore Chamber of Commerce, who took over the annual summer art show in Downtown Muskegon in 2013, Envigor created the branding for the event now known as the Lakeshore Art Festival. Included in the project was the logo design, event branding, and print design and marketing pieces for the festival, as well as a custom created website. 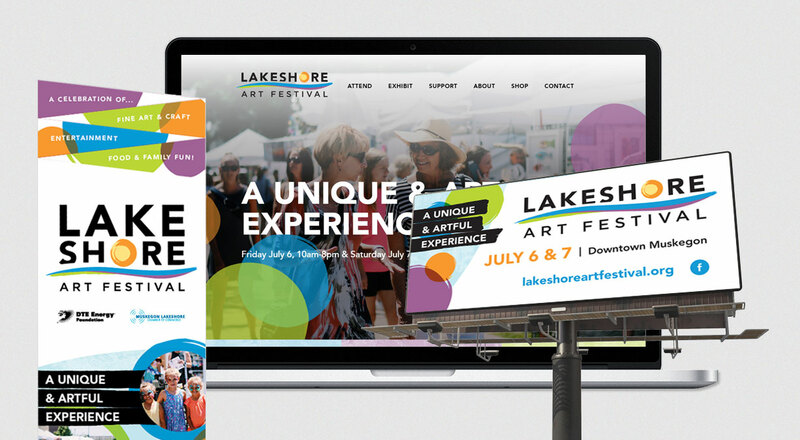 We have continued working with the Lakeshore Art Festival and Chamber of the years; working on ad campaigns, print collateral, and for the 2018 Festival, revealed a brand new website. Among the print design and marketing pieces Envigor created for the Lakeshore Art Festival were a unique, custom die-cut brochure, a print and web ad campaign, event signage, posters, postcards, billboards, and more. 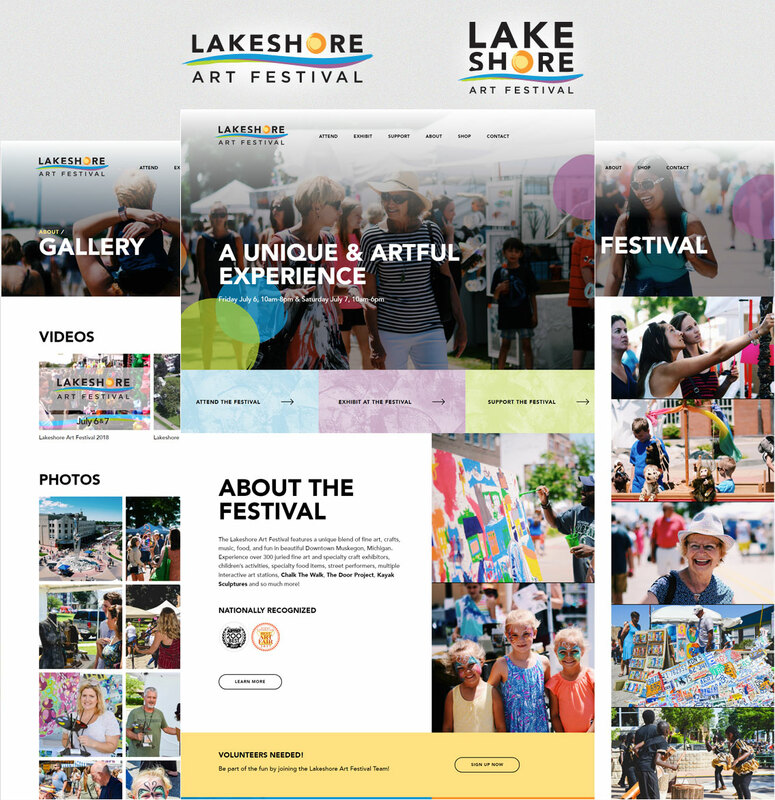 "When we were looking to revamp a former event and create a fresh new brand/identity for the Lakeshore Art Festival we knew we wanted something artistic, uncommon but comfortable and eye catching. 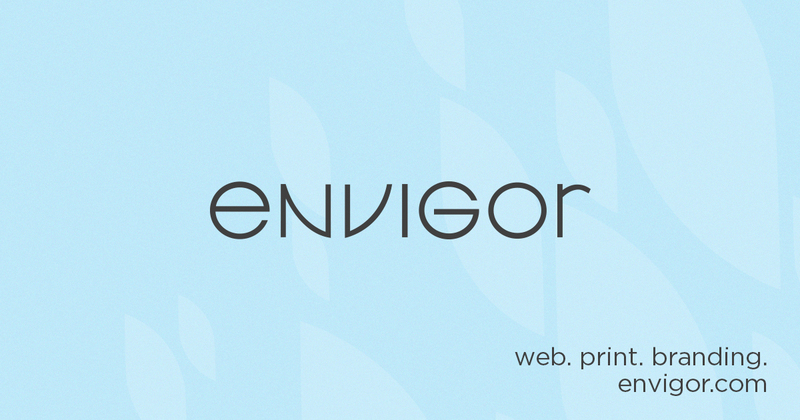 Envigor was not only able to deliver all of that to us in our new logo and design pieces but their quality of work, service and general business practices were superb!"